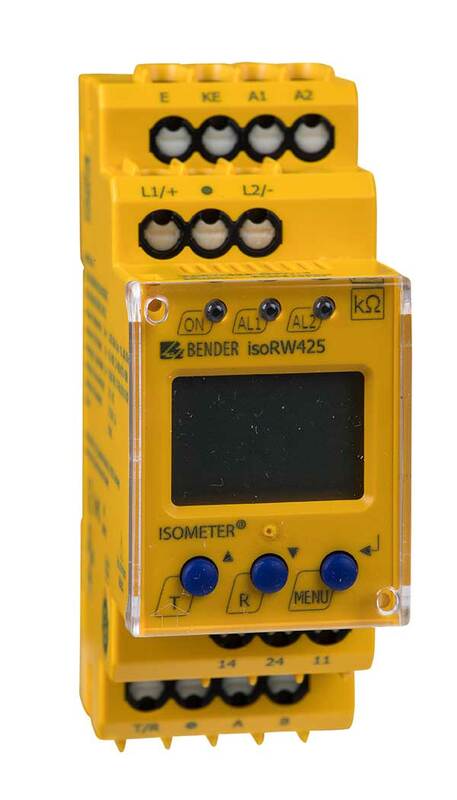 The ISOMETER® monitors the insulation resistance (R mode) or the insulation impedance (Z mode) of unearthed AC/DC main circuits (IT systems) with nominal system voltages of 3(N)AC, AC, AC/DC or DC 0…440 V. DC components existing in 3(N)AC, AC/DC systems do not influence the operating characteristics when a minimum load current of DC 10 mA flows. Due to the separate supply voltage, de-energised systems can also be monitored. The maximum permissible system leakage capacitance Ce is 300 μF in R mode and 1μF in Z mode.